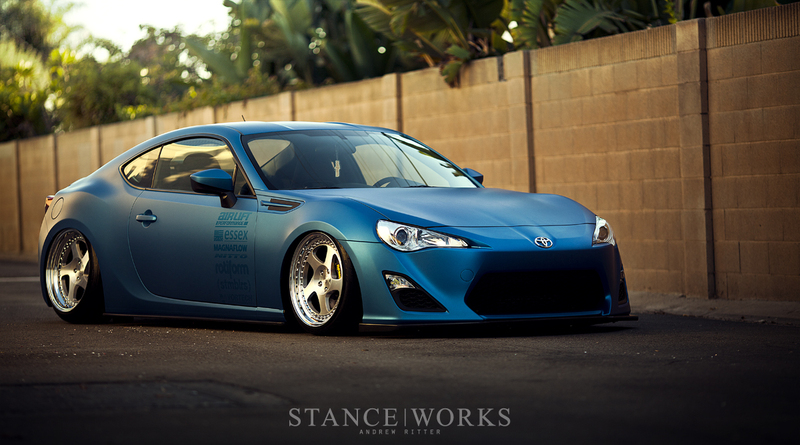 With 2013 just around the corner, it comes time for those of us here at StanceWorks to reflect back on our year. 2012 took us all over the country in search for automotive inspiration. From trackside to car photoshoot, it's clear that 2012 was a year of growth, exploration, and a broadening of vision for me and StanceWorks. 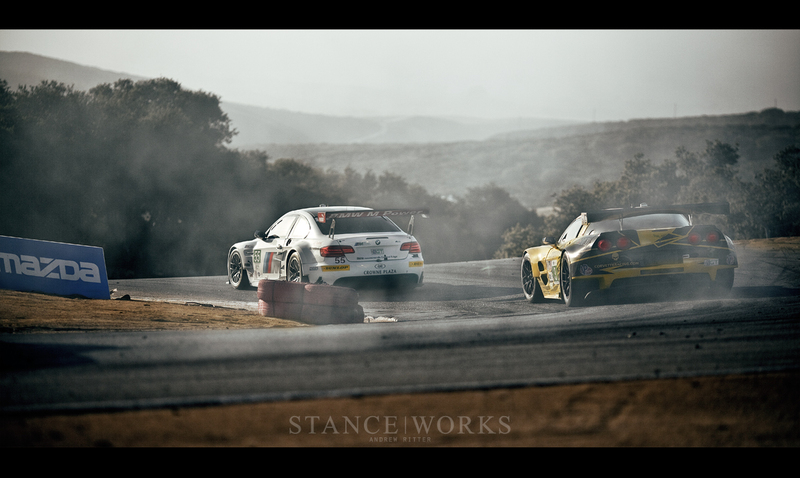 The year presented me with many photographic firsts and some great experiences that I was fortunate enough to spend alongside my good friend and the other half of StanceWorks, Mike Burroughs. Together we hiked paddocks and scouted shoot locations, encouraging each other to grow as photographers and challenging StanceWorks to grow as an automotive media source. As I sit and flip through gigabytes worth of photos from the past year, it becomes apparent how far we've come and it excites me to think about what lies ahead. The spring of 2012 brought us new opportunities just as assuredly as it brought rain to the Californian coast. 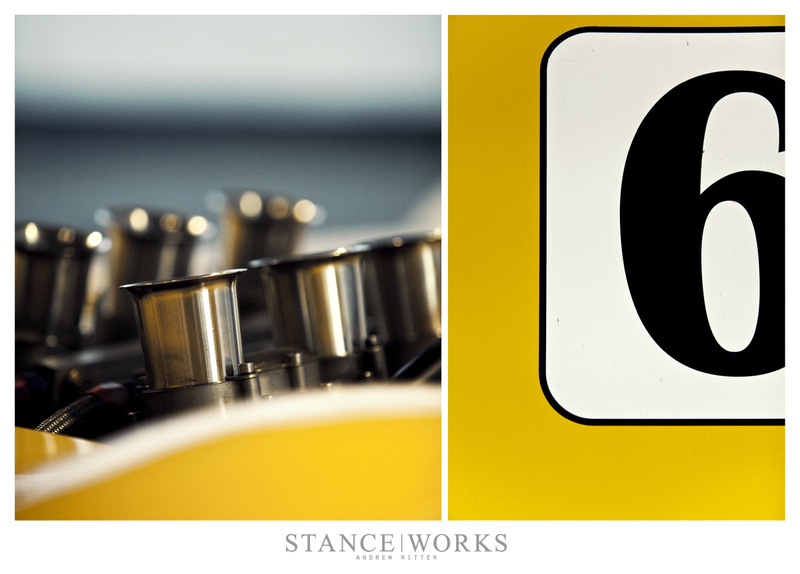 Our goal for 2012 was to expand the perspective of StanceWorks and venture into the other realms of car culture that had captured our hearts. We sought to apply the same artistic perspective and aesthetic that we had become known for onto the various stories that we would encounter along the way. As I stood in the torrential downpour of an early spring morning in Long Beach, California, I smiled in anticipation. The first lap of the ALMS practice session was underway and I was about to experience my first ALMS event from inside the media fence. The water that had collected on the track and the dark conditions weren't great for the drivers as they learned the course, but it was ideal conditions for the photographers who had braved the cold wind and rain. 2012 will be a year I always remember as it marks the beginning of our relationship with BMW and Team RLL. Our partnership with the ALMS team brought us to tracks on different corners of the country and brought us closer to the racecars that we had dreamed of as kids. I stood only feet away from the legendary drop of Laguna Seca's Corkscrew as one of the Corvettes locked up its brakes in pursuit of his BMW rival. 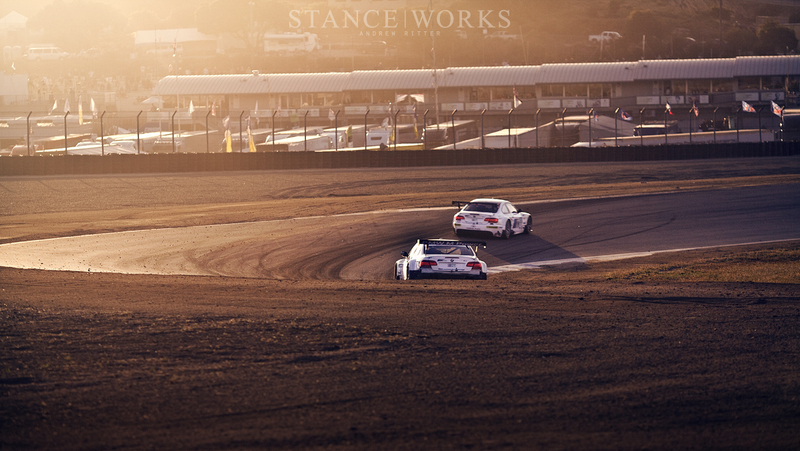 Racing offers such excitement and beauty with each lap, and it has been quite an experience capturing these moments. 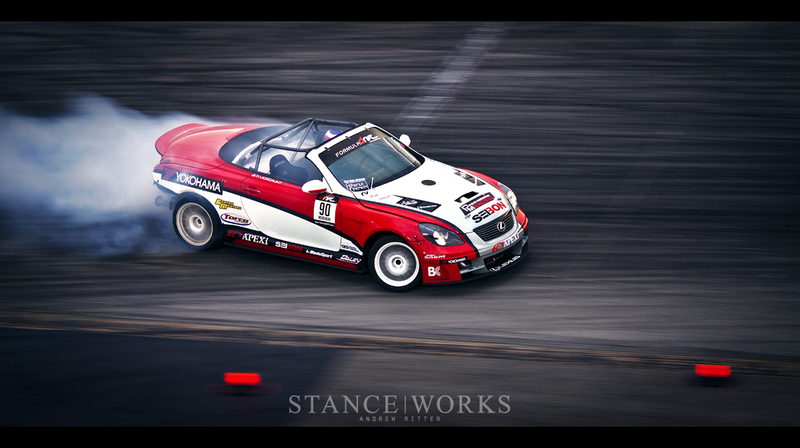 This year also marked my first year behind the K-rails of FormulaD's Drift Championships. It was exhilarating taking on the challenge of capturing that perfect shot where light and composition came together and froze time as cars danced in tandem across the asphalt. I found myself perched atop the roof of Irwindale Speedway's overlooking the LA skyline off in the distance and honing my panning shots as drivers fought for the title. Once again, I positioned myself at the top of the Corkscrew, watching as cars dove down into the S-turn. However, this time it was the iconic heroes of racing's history. Racecars that I had drooled over as a kid were taking to the tarmac for Monterey's Motorsports Reunion. 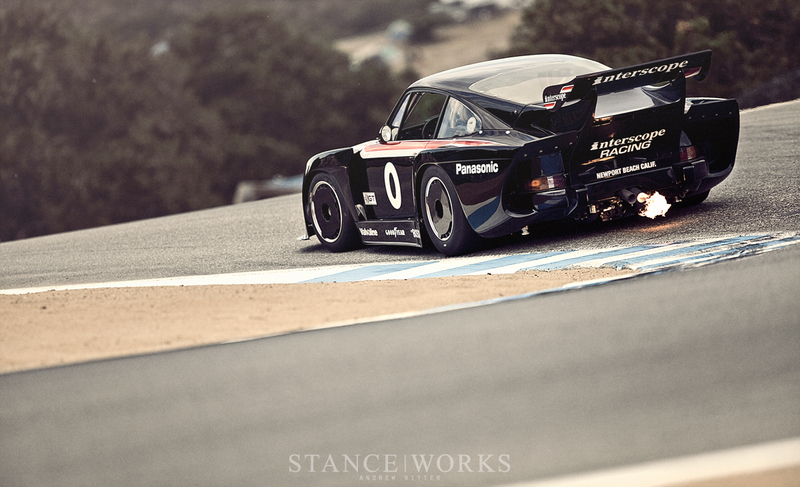 My trigger finger clicked away trying to capture the moment when my idols, the Porsche 935s, would breathe fire before cresting the final hill. 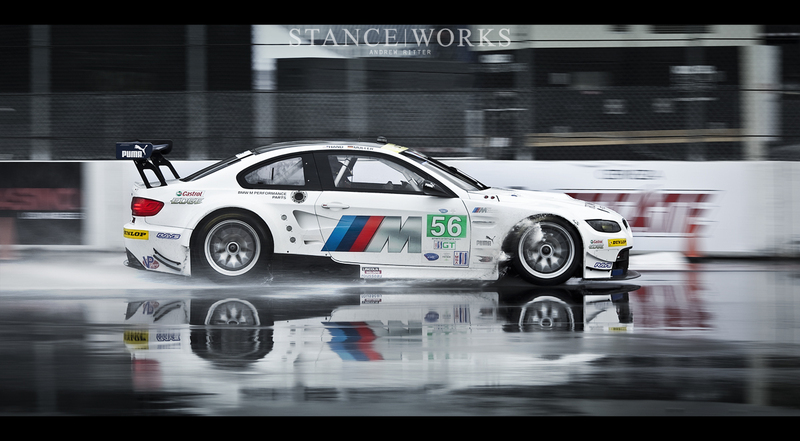 Out of 365, few days compare to the day that we spent at my home track, Mid-Ohio, for a private practice session of the infamous BMW CSL. 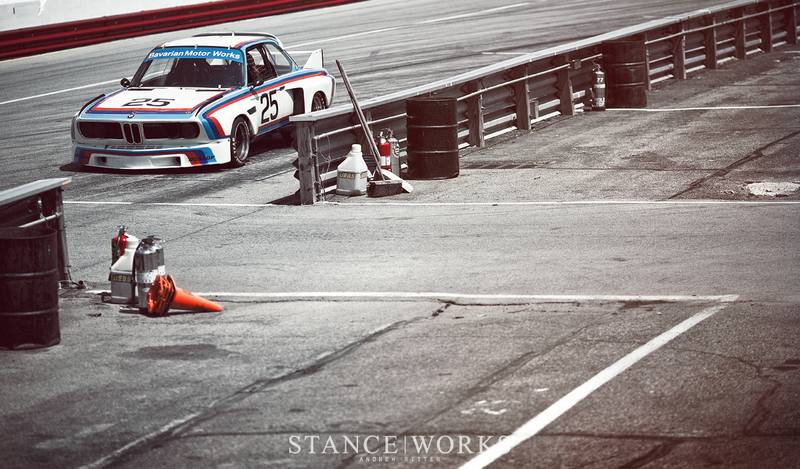 There were no other noises as the CSL tore around the track with its slide throttles and side exhaust howling. Mike and I wandered the abandoned Mid-Ohio esses and the empty grid, photographing the BMW Batmobile in its natural environment. We spent more time around classic cars and vintage racers, my personal favorites. The heritage and pedigree of these cars hits a special chord for many of us and they just beg to be explored. 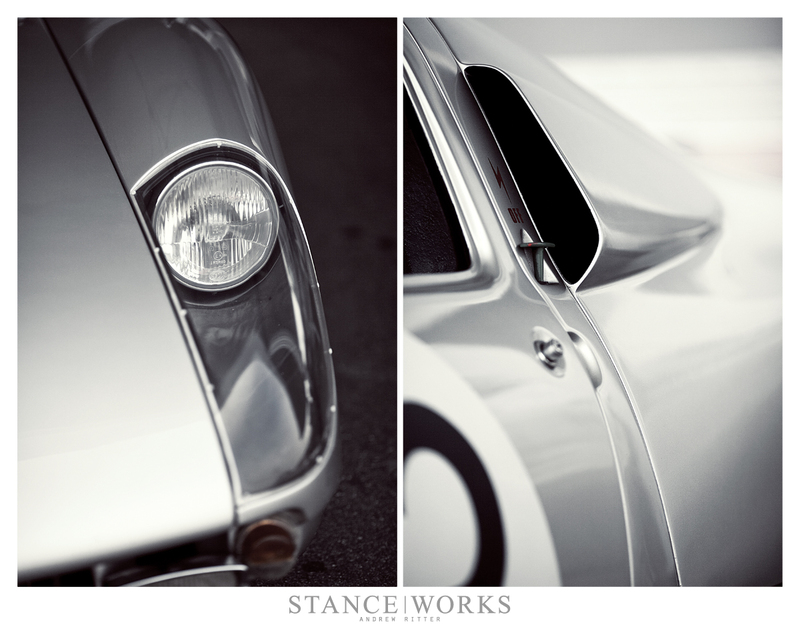 The old cars are riddled with moments of beauty and elegant details that make for wonderful photos. I could spend weeks just wandering around paddocks and parking lots documenting the aesthetics found in the nuts and bolts of vintage builds. Our familiar feature photo shoots offer us a great chance to see old friends and make new ones. 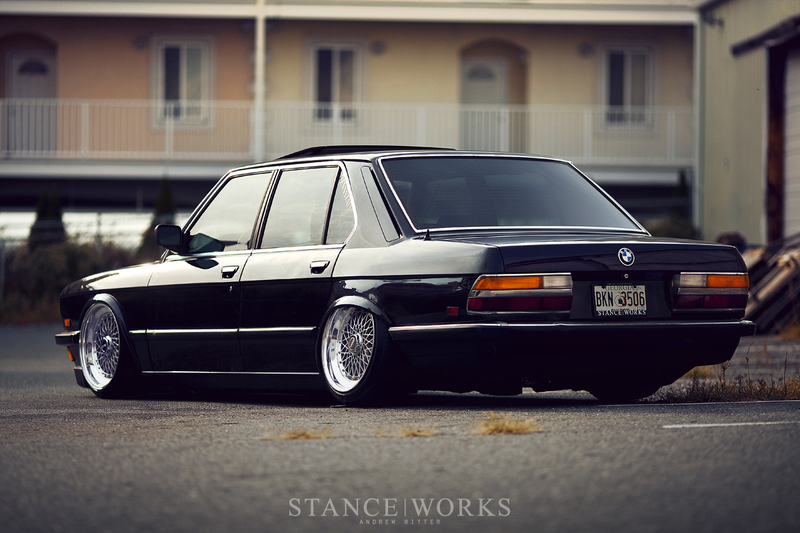 This Autumn we had a chance to re-visit Jeremy Whittle's BMW e28, a car we had shot in the past. It was a casual afternoon spent with the StanceWorks East Coast family in one of the many parking lots lining the strip of Maryland's H2O international. Friends exchanged car stories as shutters clicked away. You look back on shoots like these and you're reminded about the core structure of this automotive hobby...friends. I can't count the numbers of hours spent roaming the streets of Los Angeles searching under bridges and behind buildings for the perfect backdrop and lighting. Often times it's a hectic rush as you try to settle on a location before the sun drops out of view for the night, but it led me to corners and crevices of the city that I would never have stumbled on before. We shot Evan's Miata as the sun set on the concrete landscapes and bustling traffic of LA. This past summer we hosted the first annual StanceWorks Avila Motoring Invitational out on the greens of the Avila Golf Resort. The relaxed atmosphere, clear summer air, and wonderful collection of cars offered the perfect environment to enjoy time with friends and shoot photos. 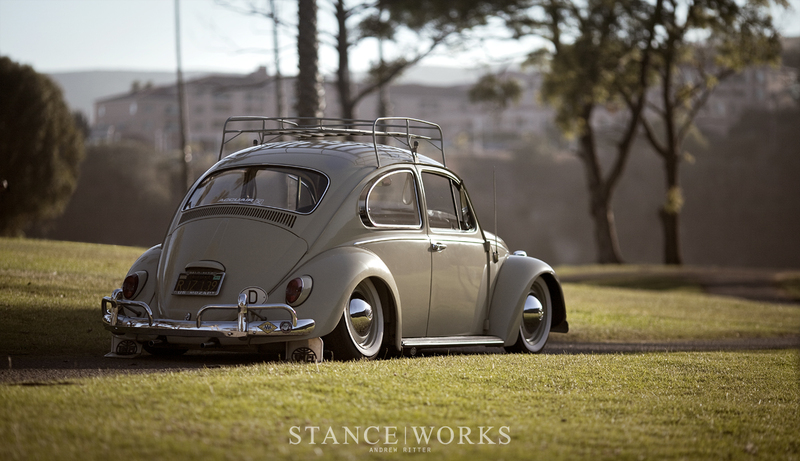 This shot of an old aircooled riding out on one of the gravel paths towards the ocean epitomized that afternoon. There's always something new and exciting in the works when we go visit our friends at Rotiform. Whether it's a new build or a new set of wheels, there's guaranteed to be something worth shooting with each trip. Rotiform teamed up with Airlift to build this exceptional Scion FRS for SEMA, an event that we look forward to every year. The companies we work with are doing a great deal to advance our community. It's great to share their work with our readers as they turn out quality builds and innovative products. 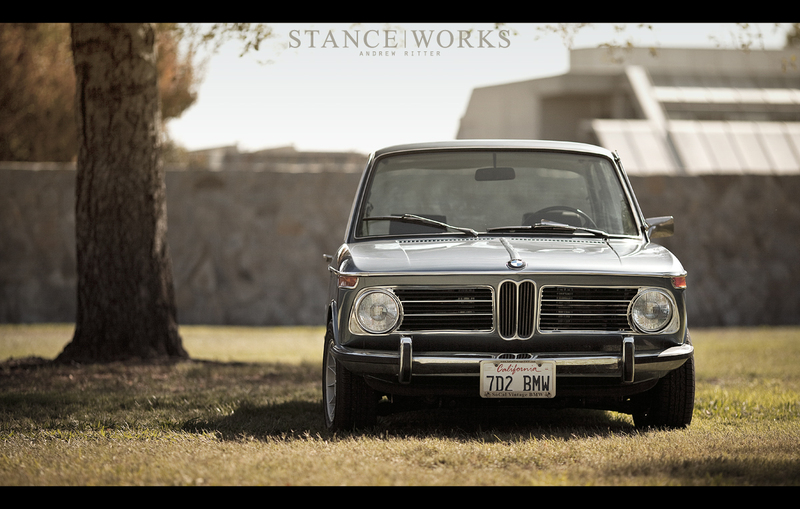 The SoCal Vintage BMW meet is always one of my favorite shows towards the end of the year. With beautifully restored BMWs everywhere I looked, it wasn't hard to capture some of the Bavarian beauty. Naturally, as an avid 2002 enthusiast, I was drawn to the rows of 02's parked along the back wall. 2012 was an amazing and busy year for us. Having reflected on everything that we accomplished and captured last year, I can't help but be excited by the octane, rubber, and shutter clicks that lie ahead for the 2013 season. I look forward to exploring further into the automotive world and hearing some of the stories that enthusiasts have to share with us.